Mitel’s InAttend attendant solution provides all the necessary tools for attendants and receptionists to perform efficiently. 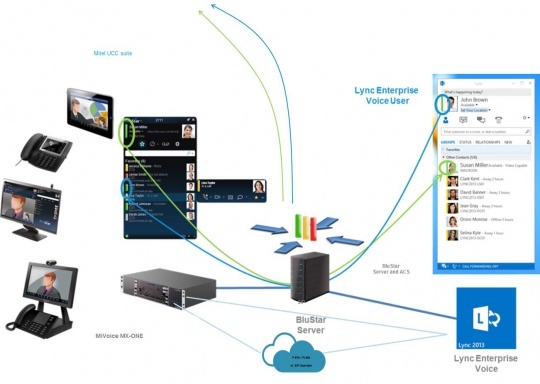 With powerful SIP-based call and queue handling, contact search options, calendar integration, Microsoft Skype for Business/Lync presence information, line state and activity status, Mitel’s InAttend is available as a stand-alone attendant application or integrated within the Mitel CMG Suite for a complete, unified communications and collaboration solution across the global enterprise. 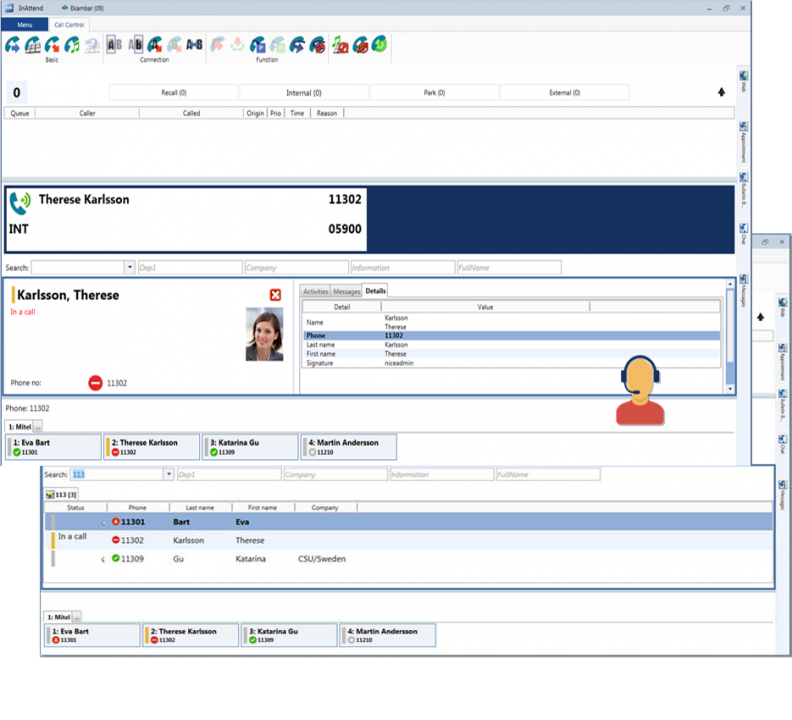 Mitel InAttend provides attendants with powerful directory and call control capabilities as well as access to real-time rich presence information, such as user UC presence, line state and calendar status to enable quick and efficient call handling.